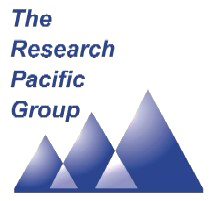 Research Pacific Korea addresses the needs of international Clients requiring a quality oriented but Western client-friendly and flexible, cost-effective solution for South Korea. Facilities include a CATI hub for B2B research and our own state of the art Consumer Insights Studio in central Seoul; while most clients require work in Seoul only we have the capability to work Nationwide when needed. We also have sister companies in China, Hong Kong, India, Japan, Malaysia, as well as our Singapore management centre, plus a cohort of long term partners in Australia, Indonesia, Philippines, Taiwan, Thailand, Vietnam. Male population is 23.8million and female population is 24.1 million in 2010 and male population is expected to continue to decrease. Married population is twice as many as single population at approximately 24 million. 55.7% of adults consider themselves as middle class. 59.9% is currently employed and 73.6% of the employed population is male. In the B2B space, Medical and Healthcare work is widely conducted as is IT and Technology led B2B; Online is also widely used for these audiences, telephone not at all popular. (Koreans intensely dislike engaging in long such telephone calls) and Face-to-Face meetings work best for ‘depth’ and serious considered responses. The number of smart phone users has reached 20 million and is expected to peak at 40 million at the end of 2012. 92.5% of smart phone users access the internet with their phone. 77.9% has experience of the internet shopping. 43.9% has search products and 31.6% has shopped products with their mobile. The most popular application is messenger program such as Kakaotok, followed by game(18.5%), entertainment(14.1%), weather/living(13.3%) and map/navigation(10.2%). Life expectancy is increasing and higher than ever before, and today it is 77,2 years for men and 84,2 years for women. It is five years older than those who were born in2010. The suicide rate has increased 5 times for the last 20 years and the figure is currently 28.4 out of 100,000. The suicide rate of Korea has ranked top among OECD countries.